A lot of people ask me why I haven't updated this blog in a while. It's a bloody good question. 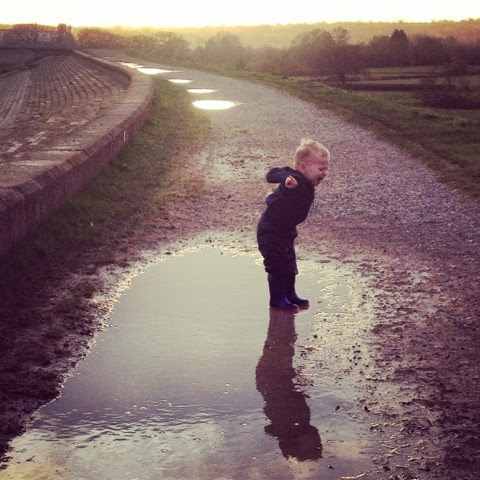 The truth is I've just been busy with work and the other thing is I've often wondered if what I have to say is interesting or relevant, I'm trying to avoid being self indulgent about writing gushing diatribes about my son. But on Christmas Eve, the night before his second Christmas I feel it warrants just a little update about the boy. Here are five things I'm grateful for. 1. He never, ever has a number two at night. No dirty nappy changes by candlelight for me. I seriously cannot put a price on this! 2. He generally sleeps through the night and goes to bed early and is starting to need his night feeds less often. That makes up for the fact he hardly sleeps during the day. 3. Laughter. Lots of it. 5. Helping us to be less selfish as people. I am however not grateful for the recent toddler testosterone surges and random growling, and hitting when he's been told "no". That's his least favourite word and we get a quizzical, angry look, followed by taking a swing at us, and then falling to his knees crying and whining at how hard his life is and how unjust we are as parents. I think it will take a little bit of time to get used to that!